The #MeToo campaign that started from Hollywood against producer Harvey Weinstein's sexual exploitation and assault on women has semblance in Bollywood too, a fact that can be gauged from many actors opening up about having faced casting couch early in their careers. But what producer Ekta Kapoor recently said, ostensibly referring to Bollywood, about casting couch may very well change the narrative as she said #MeToo represents only one side of the truth. According to Kapoor, the other part of the story is often overlooked; the story where the person who comes across as the oppressor is actually a victim. While this debate over the oppressor-victim dynamics does require thought, Kapoor's statement actually hints at the deeper rot in the industry. The voices of #MeToo in Bollywood is just a reflection of that rot. When the producer was asked about whether there are Harvey Weinsteins existing in Bollywood too, she accepted it. "…but there is probably an equal number of Harvey Weinsteins on the other side of the story, but people do not want to talk about that part. Yes, there are people in power like producers who use their power to take advantage of people, but at the same time there are people on the other side, like an actor or others who need the job, would also use their sexuality to get things done," she was quoted as saying in media reports. That powerful people are exploiting those who are powerless is a misconception in many cases, she said sharing experiences of male producers who have been “prepositioned” in such cases. “Being a producer, on a personal level when I talk to my male counterparts, they said they were prepositioned blatantly. Is that person not a predator? In our industry, if one actor meets a producer at 2am, and hooks up with him and after five days, if she wants a job based on that and the producer doesn’t give the job because he wants personal and professional things separate, then who is the victim here. The interpretation is always that the powerful person took advantage of the poor little budding actor or something that is always not the truth,” she said adding that the predators should not be put in a box based on power. However, she didn’t undermine the importance of the #MeToo campaign. 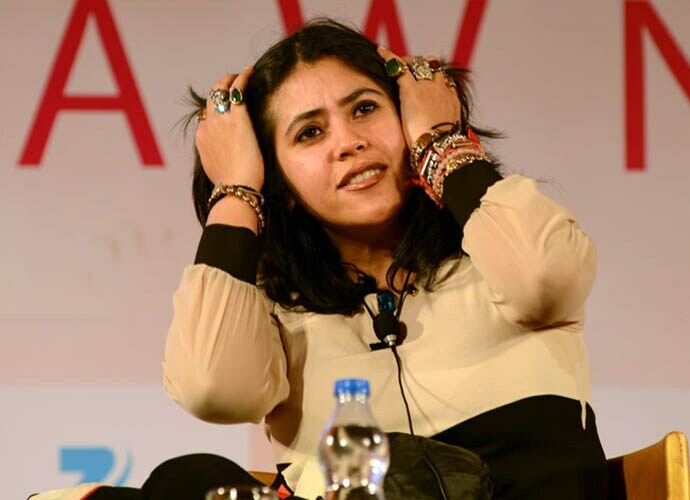 So, whichever side is playing the victim, that talent often takes a backseat in the industry for newcomers, who are also outsiders to the industry, gets established from Ekta Kapoor's statement. And while she was addressing the issue from the perspective of a producer, this "both-way exploitations" that she referred to exists in other forms as well, between senior actors and junior actors or between directors and actors. A complaint has been filed against veteran actor Jeetendra by his cousin. And not only Kapoor, there are other people too in the industry who consider casting couch as "two-way exploitation". In a recent instance, actor Mandira Bedi said that one person can’t be blamed for casting couch, as the other person is also willing to compromise and there are people who are willing to do whatever it takes to get to where they want to reach. But this narrative which blames both for keeping the vicious cycle running overlooks the fact that it compromises on talent-based casting in the industry.looked into in the wake Harvey Weinstein controversy.